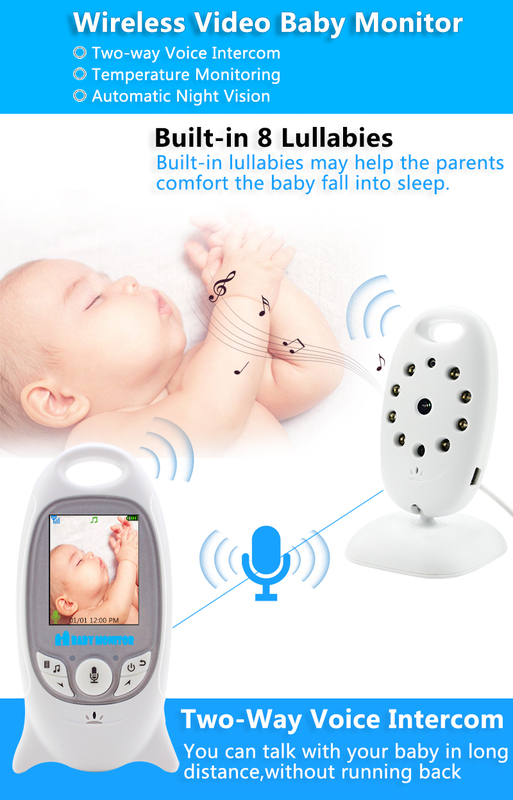 -Built-in lullabies may help the parent comfort the baby fall into a sleep. 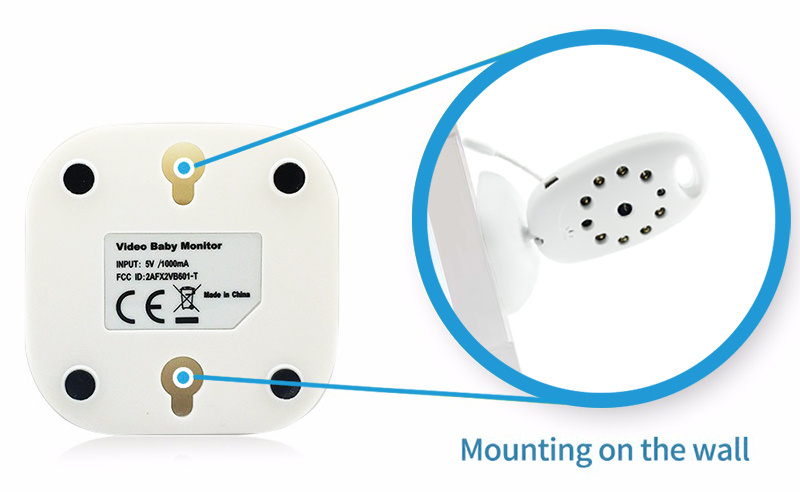 -Temperature monitoring. 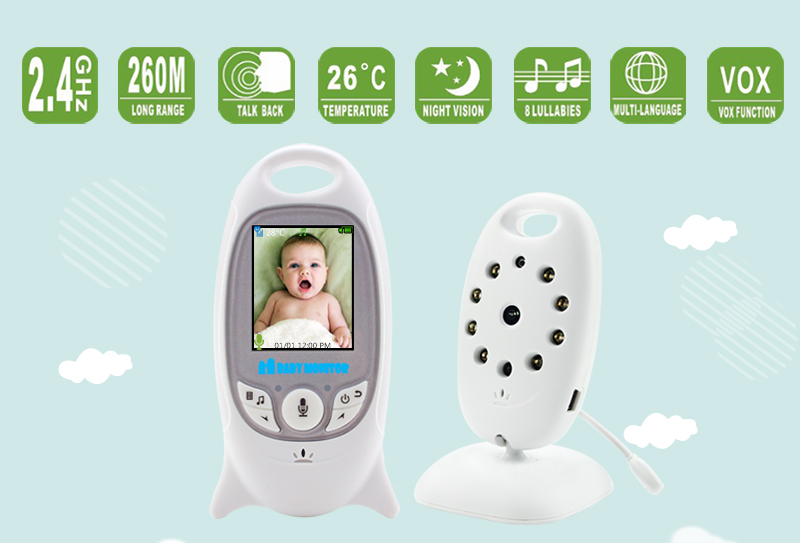 Know your baby\'s room temperature all the day long without worries. 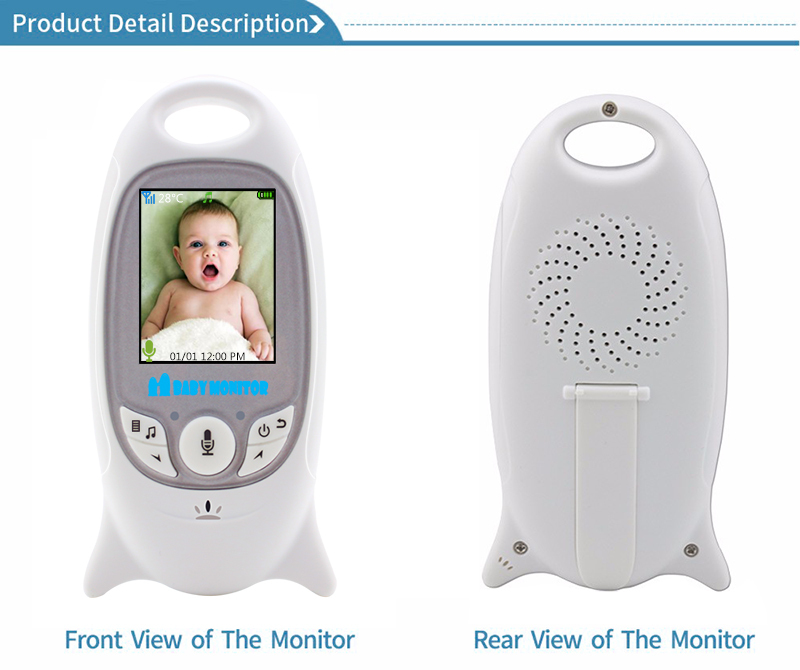 -Two way audio between the camera and monitor, you can talkback to baby. 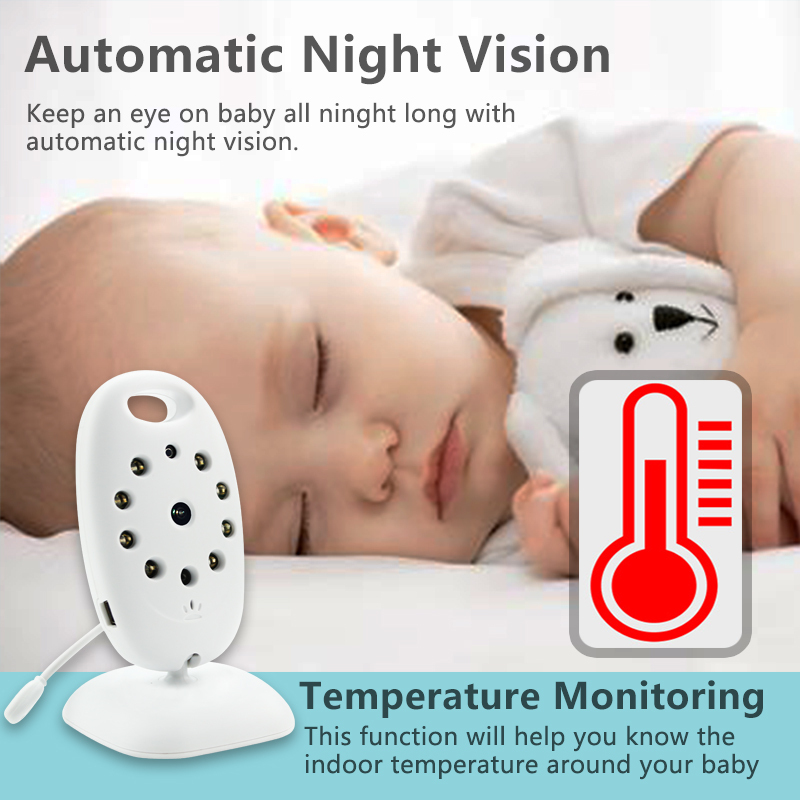 -Keep an eye on baby all night long with automatic night vision. -Up to 8 hours of battery life (in Vox mode). 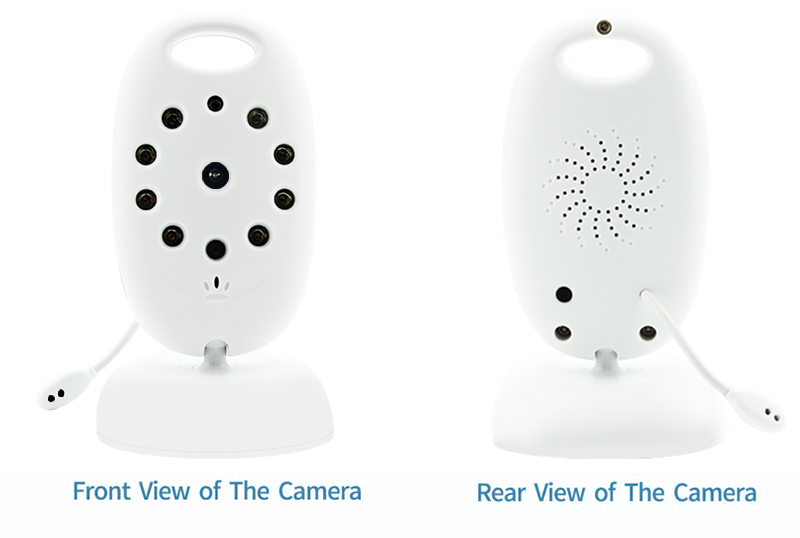 No need to charge the battery for the monitor in the whole night in Vox mode. 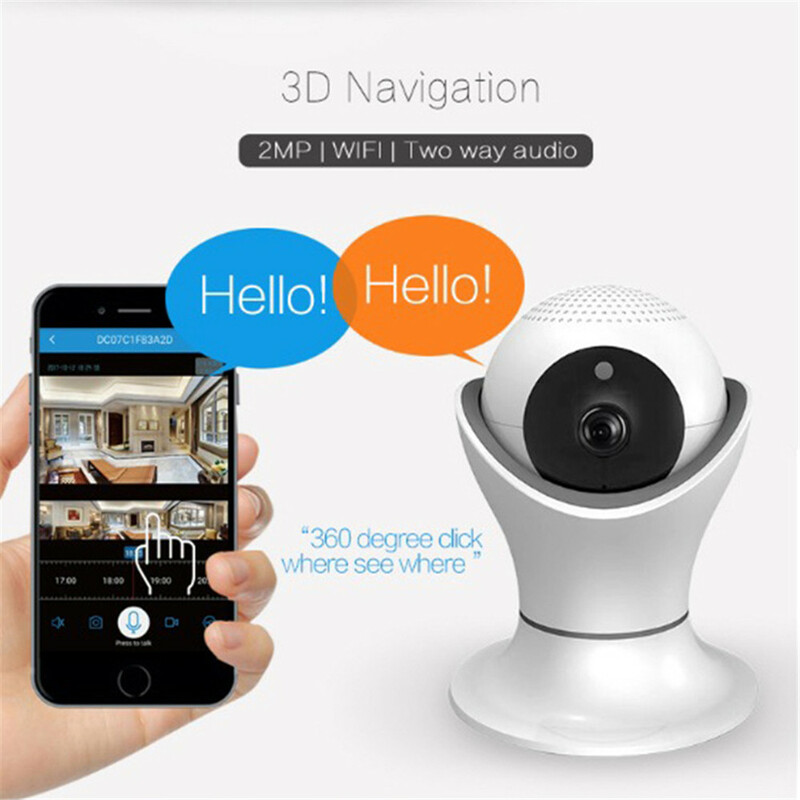 -Small size, portable design, convenient to carry. 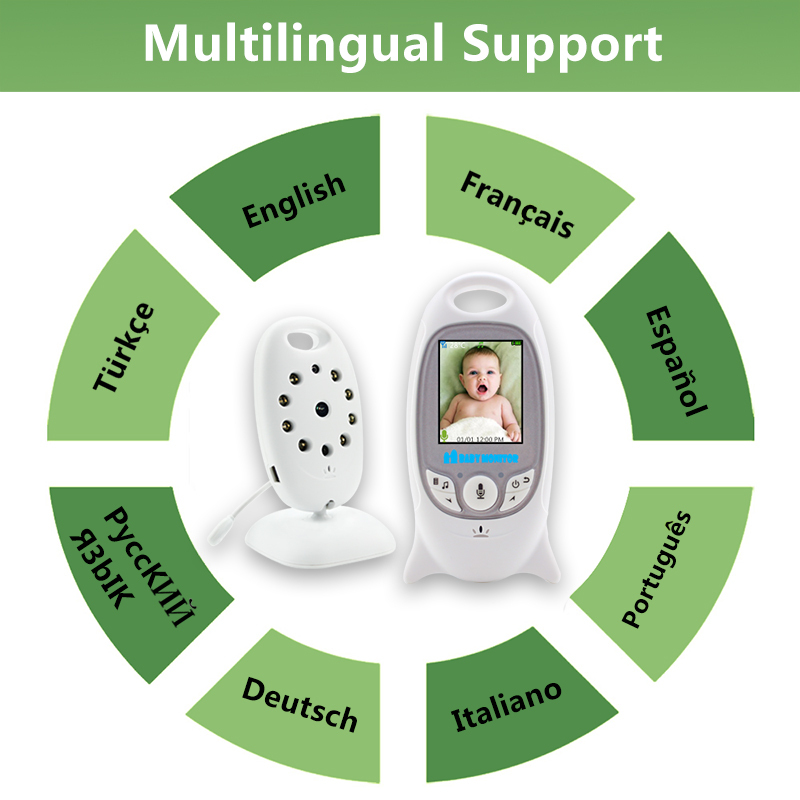 -Support multi-language, English, French, Spanish, Italian, Germany.